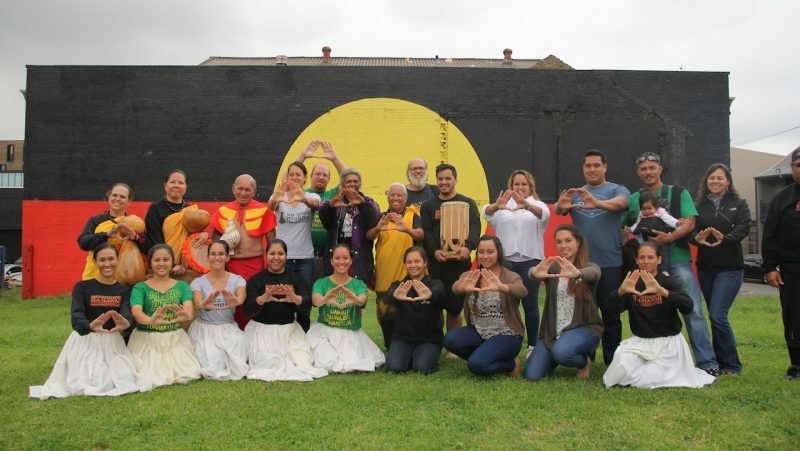 Hōkūleʻa’s delayed arrival into Sydney, Australia provided an unplanned opportunity for members of Hālau Mōhala ʻIlima and a handful of Kanu O Ka ʻĀina haumāna to visit the Aboriginal community of Redfern, where residents have formed the Redfern Aboriginal Tent Embassy to occupy and protest the proposed development of commercial shops and university student housing, on what is legally Aboriginal land. After participating in the necessary protocol of the smoke cleansing ceremony, the group sat down to learn about the struggle taking place in this community. 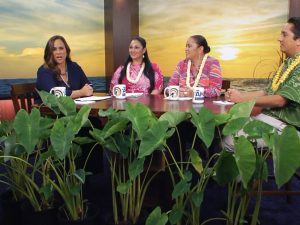 Similarities were drawn between this struggle and the struggle currently being experienced in Hawaiʻi. 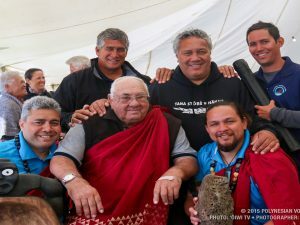 Not only were hula and mele presented as gifts to the community, but special kāhili were also given to memorialize the solidarity fortified on this day.